Hearing Dogs for Deaf People believes no one with deafness should feel lonely. This is why we train dogs that help deaf people through companionship and practical help. Since we started in 1982, we have created over 2,500 partnerships between deaf recipients and hearing dogs. Today there are almost 1000 working dogs across the UK. Training a hearing dog takes around 18-24 months. Our puppies start their journey by living with volunteer puppy trainers, who give them training and start helping them recognise important sounds. They then progress to advanced 'soundwork' training (associating specific sounds with actions) at one of our training centres, and are then partnered with a deaf person. 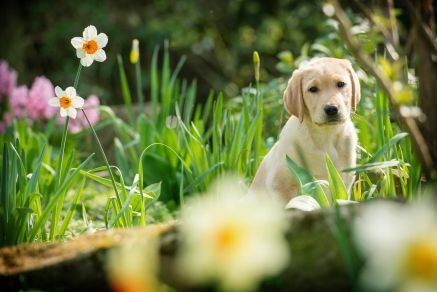 It costs £40,000 for the breeding, training and life-long care of each hearing dog partnership. We do not receive any government funding and rely on the generosity of individuals, groups and organisations to support our life-changing work.